It’s December, which means the start of silly season. Christmas and New Year are fast approaching, schools are closing for the year and businesses are winding down. There are more reasons to celebrate than at any other time of the year, and better weather to do it in. 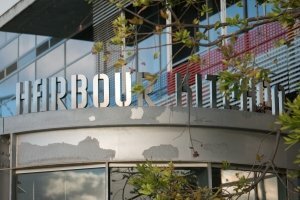 As the specialist in party venues Melbourne, Harbour Kitchen is committed to helping all our guests relax, unwind and have a fantastic time. 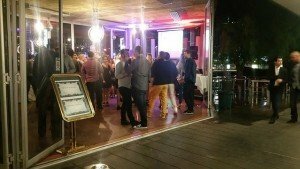 Corporate functions are one of our specialties and, as they do every year, many businesses have come to us for their end of year party. A calendar year of industry success must be celebrated and hard working staff deserve to be rewarded. We ensure that all our corporate guests finish the year in style; just one of the reasons we are considered the best in the business when it comes to party venues Melbourne. There is one end of year celebration, though, that surpasses all others. 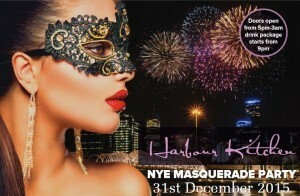 It is, of course, New Years Eve and this year’s celebration will be bigger and better than ever before at Harbour Kitchen. We have the best view in town for the huge Docklands fireworks display, fantastic food and beverage packages, music to keep you dancing till the small hours and a masquerade theme that is as fun as it is intriguing. 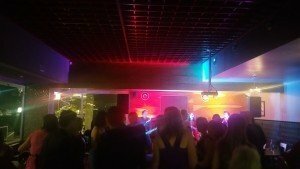 We shine all year round, but New Years is when we are at our brightest and it’s a major reason we are known as the leader amongst party venues Melbourne. After the excitement of Christmas and New Year has abated, January is a slightly more relaxed, but still extremely fun month. Many people extend their holidays into the new year and, as is the Australian way, any excuse for a party is grasped with both hands. 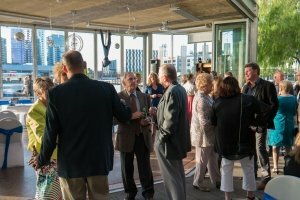 At Harbour Kitchen, we love to see people enjoying the hot days, long nights and breath-taking views from our function rooms and waterfront beer gardens. We hope to see you down here!